Have you ever tried moebius knitting? It's a bit of a maths challenge. As it knits out from the centre it's hard not to marvel at how it works. 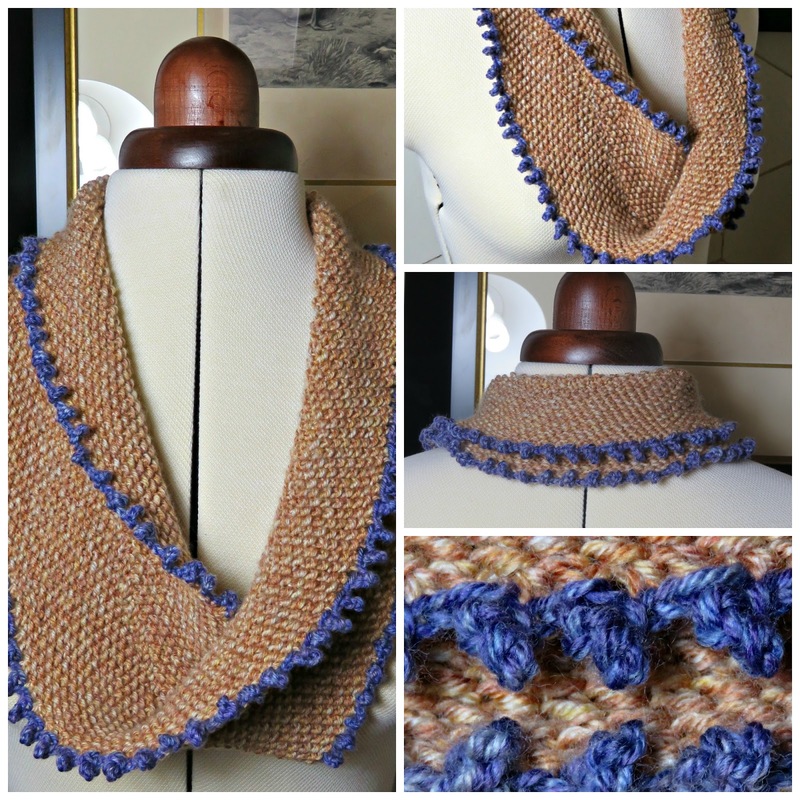 Once you've mastered the moebius cast-on the rest of this scarf is pretty straightforward. It's worked in seed stitch so that it's the same on both sides. I think a moebius works best when the twist reveals a consistent pattern on both sides. 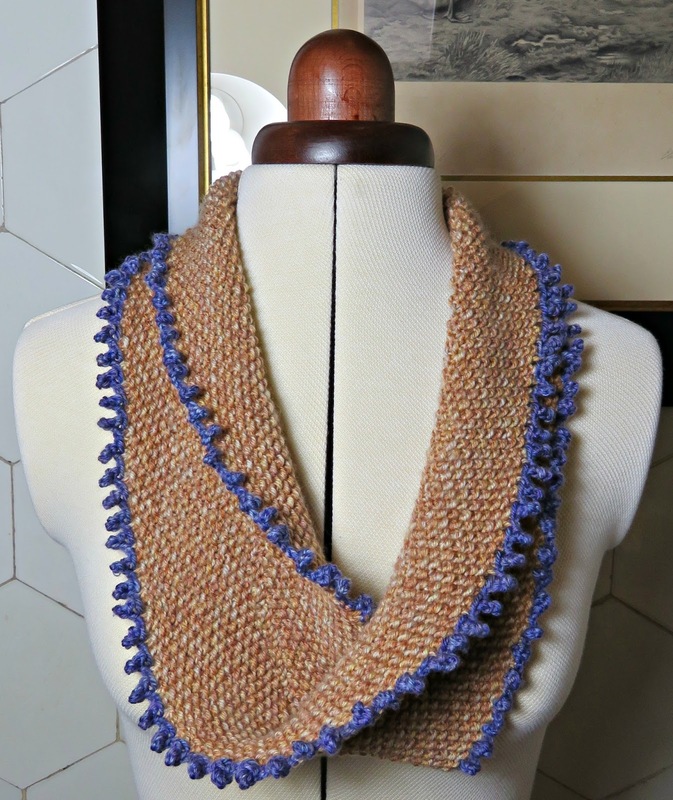 It's been knit using Costa Brava Knitting's Double Knitting Pure Merino in Buttered Caramel with a contrasting trim knit in their Heather Mist using 4 mm circular needles with a 100 cm cord. It's taken about 75 to 80g (150 to 160 metres) of the main colour and about 15g or 25 to 30 metres of the contrasting colour. The finished scarf has a diameter of about 40 cm. To get started cast on 158 stitches using the moebius method on the bottom moebius row, and only 157 on the top. Normally with moebius you would cast on the same number of stitches top and bottom, but here, because we're going to knit in seed stitch, we need an odd number of stitches overall - otherwise the seed stitch pattern will not repeat properly when knit in the round. Let me show you how it's done. I've made a short video in close-up to show how you carry out the steps below. You can watch the video here: Moebius Cast On. You'll need a pair of circular needles with a 100 cm/ 40" cord. 1. Start off by making a slip knot and moving it around to the centre of the cord. 2. Take your right needle and place it just so (as shown in photo below). 3. Holding the right needle in your right hand, dip it under the cord to pick up a loop on the cord from the live end of the wool. 4. Move the right needle up, and place a loop over it from the live end of the wool. 5. Repeat 3 and 4 until you have 158 stitches on the cord below, and on the ring of cord that will lead off from the cast-on needle i.e. 157 stitches - i.e. leave off the last yarn over that you'd do on the needle. 6. 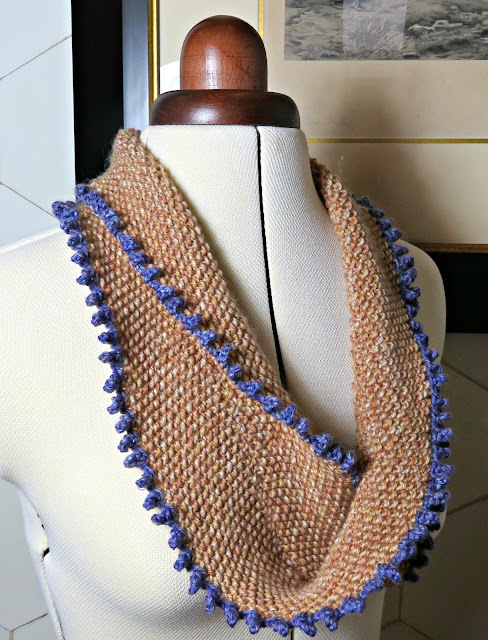 Without adding any further twists, join the circle by knitting the first stitch. 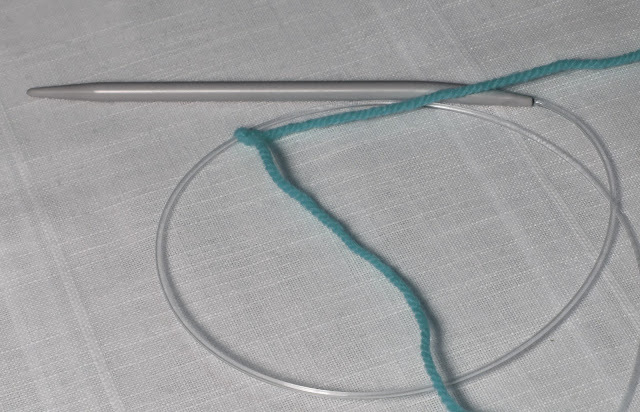 You will now have 2 loops on the cord, holding 2 sets of stitches and you will work from the centre out. Each moebius row will take you around the top and the bottom, adding a row of stitches to each respectively. There will only be one half turn twist as the knitting moves from the top to the bottom loop. 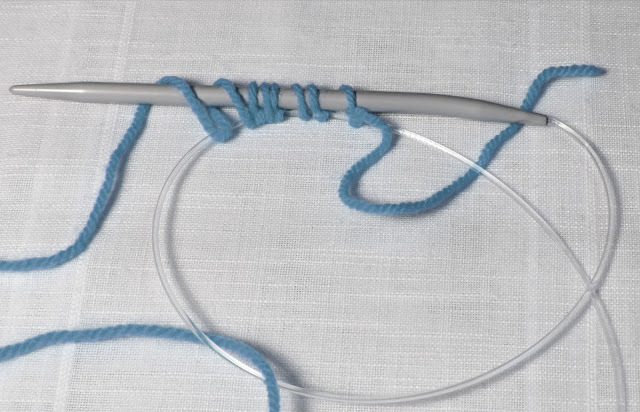 Make sure that you're knitting cords for the two loops of knitting are running parallel save for one cross-over. And, just to repeat, you can watch the Video link here: Moebius Cast On. 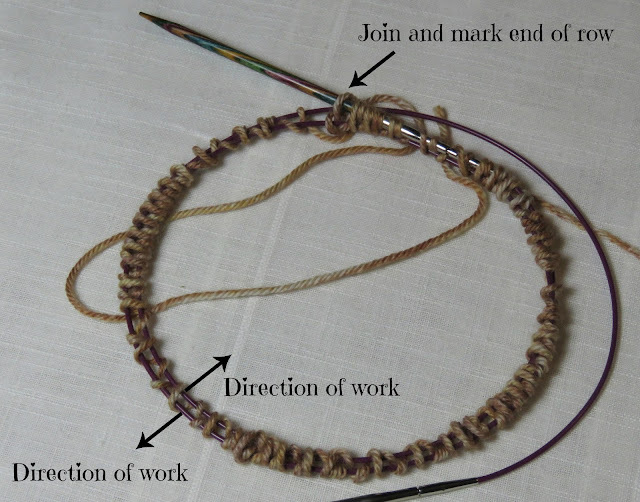 Mark the end of the row with a stitch marker and join the circle with a knit stitch, being careful not to incorporate any further unwanted twists in the row. 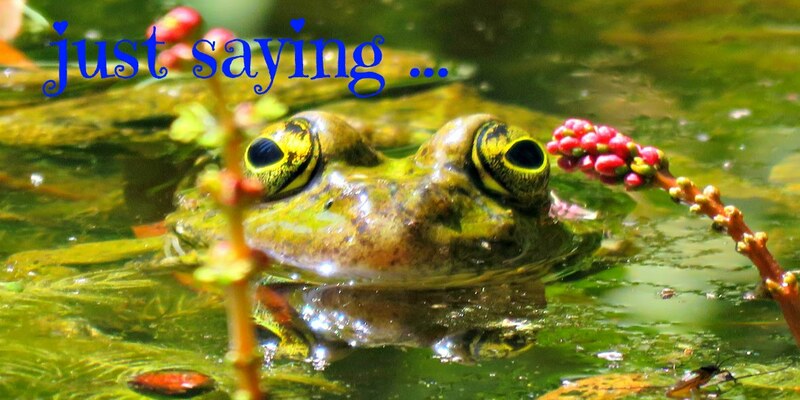 You should have one half-turn twist, and no more. Lay the stitches out evenly around the circle, and check that the two cords running from the needles are running parallel to one another all the way around. You should only have one twist where one section of cord crosses over the other. Be careful of the tension with your first knit stitch, making sure that you draw the wool tight where the circle is joined. 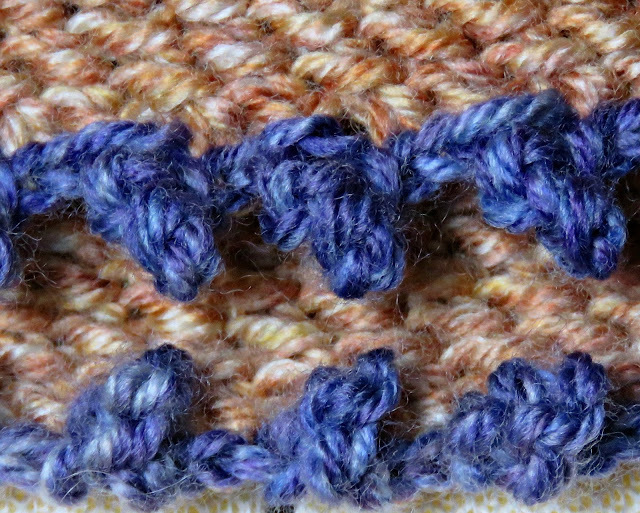 Work around the moebius in seed stitch i.e. knit 1, purl 1 all the way around. Because we're operating an odd-numbered row you will automatically start the next row on a purl stitch, which will create the seed stitch pattern. 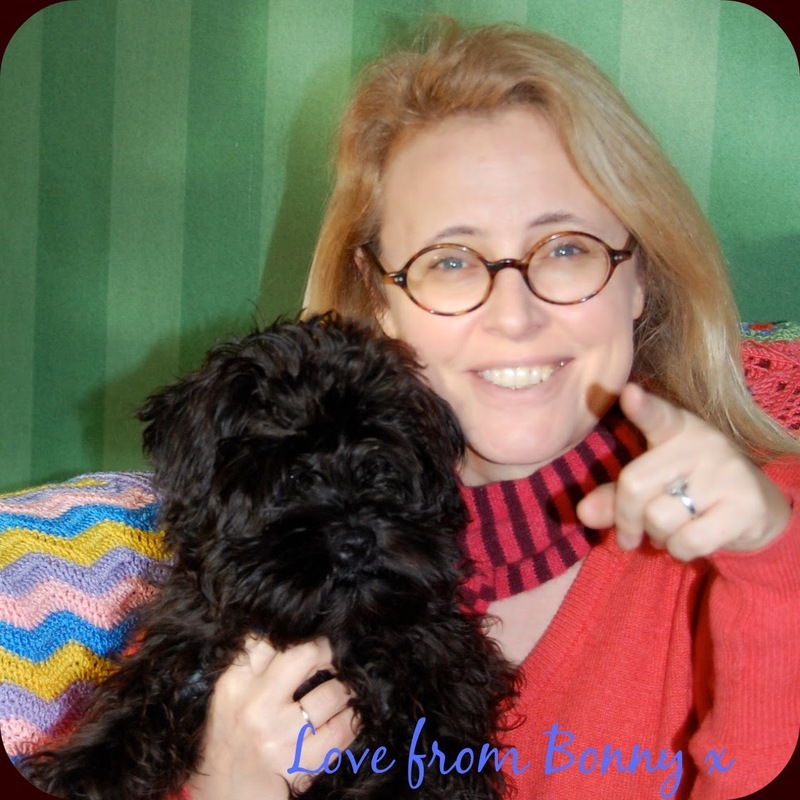 Carry on knitting until your work measures about 14 cm/ 5½" - or as wide as you'd like it to be. I've used a Picot cast off because it has a nice relaxed tension. When you're working a scarf length-ways the very last thing you want is a tight cast off that's going to gather your work in along the two lengths of the scarf. I've used a contrasting colour here to emphasise the form of the moebius. With the purple running around the edges you get a much clearer impact of the half-turn twist that is integral to a moebius infinity scarf. I've made a short video in close-up to show how you carry out the steps below. You can watch the video here: Picot Cast Off. 1. Cast off two stitches knit-wise in the normal way. 2. Slip the remaining stitch from the right needle to the left needle. 3. Work a Cable 3 cast on as follows: knit into the stitch that you've slipped onto the left needle. Pull the loop through, and, instead of slipping off the existing stitch in the normal way, slip the new stitch onto the same needle. Cast on the next 2 stitches by inserting the right needle into the space between the first two stitches on the left needle, drawing the loop through and slipping it onto the left needle without slipping off any of the stitches. 4. Cast off 5 stitches knit-wise. 5. Repeat from 2 to 4 all the way around the scarf. 6. On the last cast-off you will be one stitch short for the final cast off 5. Cast off the last stitch, pull the yarn through and weave it into the first cast-off stitch worked at the beginning of the row to complete the line of the picot cast off edging. since I don't knit, and since I am so tired I can't think straight, I did not even try to read the instructions. But just have to say I really like this. It really does make me wish I had learned to knit.